Lions, and Tigers, and Mushrooms? In a new article from the Journal of Ethnobiology and Ethnopharmacology, researchers in Chihuahua, Mexico discuss the selective use of mushrooms in Sierra Madre. The municipalities of Bocoyna and Urique are the only areas in Northern Mexico where residents pick mushrooms, but even then only five of over 20 edible species make the list. Attitudes toward our fungi prey vary across cultures, beckoning a reexamination of that seemingly ubiquitous fear. I was born in Russia, a land of mycrophiles, before moving to America, the land of mycrophobes. My mother once found a cornucopia of Boletus mushrooms at the village playground in the suburbs of New York. She was dumbfounded. This would have been an unprecedented sight in Russia, where any mushroom that managed to poke its head into a public playground, would instantly be picked, fried, and eaten with sour cream. In America we leave the mushroom collecting to the supermarkets, and stay far away from the forest. My American husband has always kept wild mushrooms at arm’s length ever since his mom told him that mushrooms killed Euell Gibbons. As it turns out Gibbons died of an aneurysm, but the tale remained the pivot of a lifelong mistrust. Of course the fear is not completely irrational. There are those capped persons that cause severe stomachache, diarrhea, and sometimes death. Our less-cautious ancestors suffered these consequences to provide the warning lists in mushroom field guides. With the availability of other food it makes sense to steer clear of potential toxins. But in Chihuahua efforts have been made to teach children how to identify edible species. Especially in low-income areas, mushrooms provide free, nutritious food options. In northern Mexico residents eat only what they know with certainty, only those species that they never learned to fear. There are many delicious species that have no poisonous look-alikes, and yet differences in preference persist across ethnic groups within the same region. 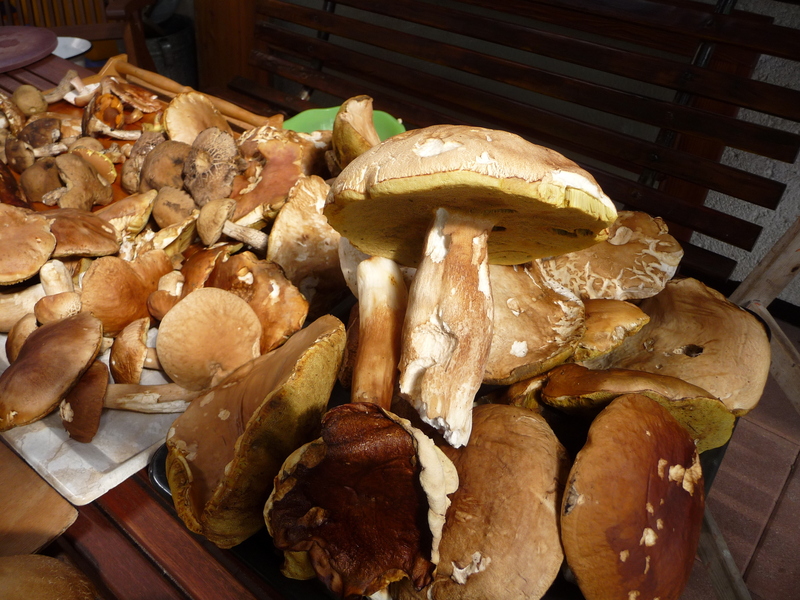 For example, in Sierra Madre, Raramuris avoid those Boletus mushrooms that mestizos eagerly consume. What molds a mushroom culture, its loves and its fears? I am currently doing anthropological research in northern Finland, where mushrooms the size of dinner plates dot the forest. When I arrived the American mushroom fear was my hiking companion. But eventually the fairy-tale forest won me over, and I ran to the nearest nature center to ask for help with identification. The young woman was amused: “Just don’t eat the red ones…It’s not that hard.” Since then I have been taking the days mushroom by mushroom, only picking when certain, relearning the knowledge of millennia past. I’m a bit intrigued by the article above because I’m almost certain of having read the same exact story some ten years ago in a book about mushrooms or maybe just generically drugs. If I recall correctly the book or chapter went on to research how in Northern Eurasia there was a personalization of mushrooms and an enteogenic use of some of them, particularly Amanita Muscaria (the red capped one with white dots, the typical “gnome mushroom”), including some indirect uses in rheindeer husbandry (apparently rheindeers also like the drug). That’s absolutely untrue. Not sure in Finland but here at least (in the Basque Country but surely most of Europe) there are many that are truly poisonous, notably the inconspicuously white Amanita Phalloides, which will easily kill you and also a horse. Many others are delicious and yet others psychoactive, like the rather popular psylocibes. Here you get better information on what mushrooms can be eaten and nobody will tell you anything like that: it’s quite hard. Amateur mushroom gatherers should abide to those species they can recognize for certain and in doubt throw the mushrooms away or ask an expert before cooking them. Of course it is not as simple as “Just don’t eat the red ones,” and people do definitely need to be careful. However, extremes are not good, and ruling out mushrooms as a food source altogether does not entirely make sense. I have heard about the Amanita mushroom as well, although oddly I have never heard it spoke of by local people where I live.